"Allow me to introduce myself. I represent the Rent Is Too Damn High Party." That line was spoken by New York Gubernatorial candidate and Karate expert Jimmy McMillan during a recent debate. If you haven't seen this video then you need to check it out immediately. I'll tell you what though, this guy has my vote. 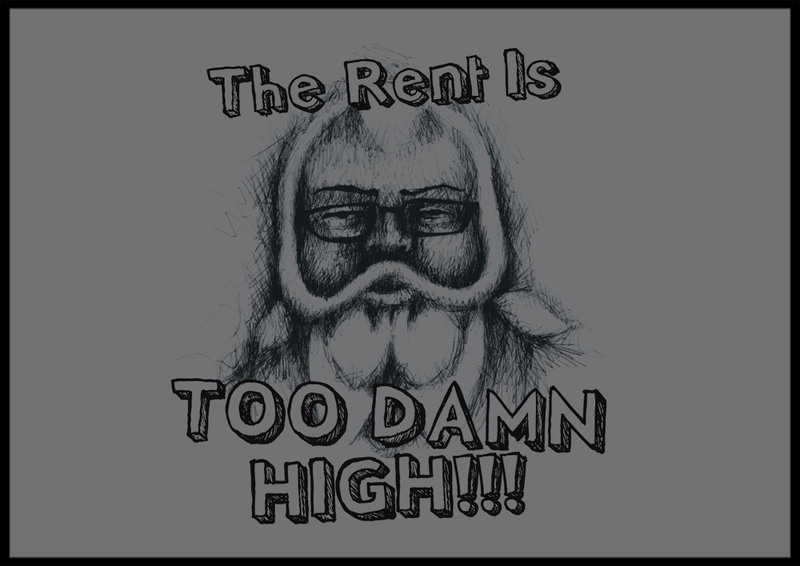 Support the Rent Is Too Damn High Party with your shirt today!